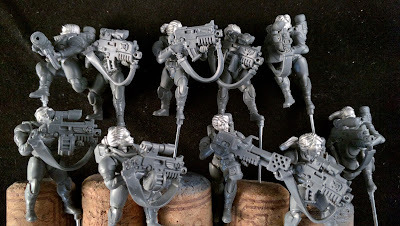 I finally got around to building my Grey Hunter veteran tactical legionnaire squad. 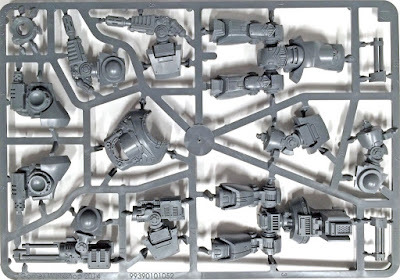 It's a twenty (20) man bolter squad. 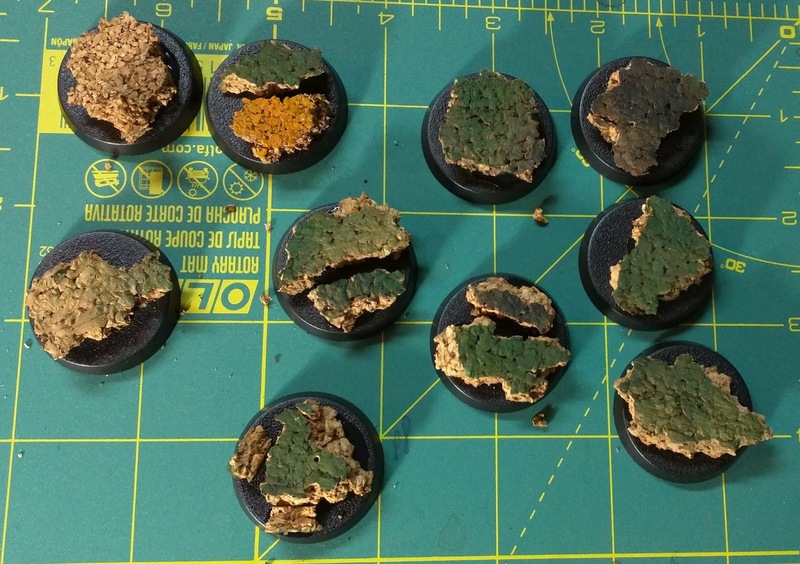 Below is a snippet of a few of them ready, on cork, for washing and painting. 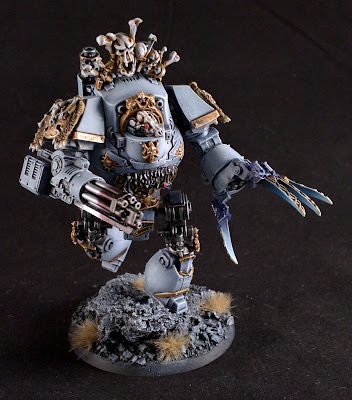 They are mainly a majority of Betrayal at Calth (B@C) MkIV Maximus armor with a sprinkling of Space Wolves torsos. I have also attached grenades, holstered pistols and a bunch of either Combat blades or Hand Axes. 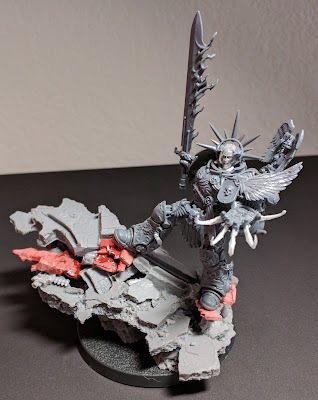 I have also started on the bases for this squad. 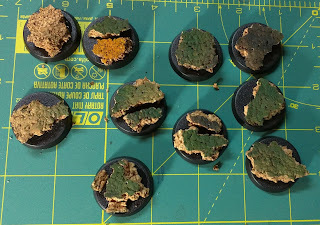 Basic cork and PVA, so far. I will add the rest of the usual ballast grit, paint and tufts.